Smart Environment or Environmental Monitoring is an ever-evolving area, which impacts a variety of industries including, but not limited to Agriculture, City Planning, Water Management and Public Health. 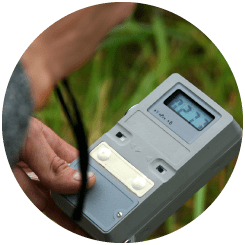 It involves gathering data from sensors placed in the environment with the intention of monitoring variables (such as pollution levels) and taking action depending on the results of the data. With M2M Connectivity’s range of wireless products you have the ability to monitor your environment – both with local or wide area coverage – from our range of 3G/NextG, Satellite and short range RF products. We supply raw modules through to finished trackers devices, some with extended battery operation for up to 10 years.